Regarded as one of the most gifted exponents of pencil drawing in the industry, Richard Taylor will hand-craft an original drawing in the lower margin of each print. Limited to fifteen copies worldwide they are a unique collector's piece. 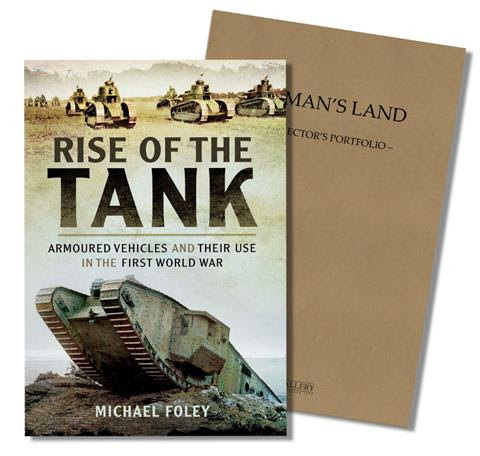 Each matted print is issued with a matching-numbered copy of this outstanding book written by military historian Michael Foley, presented in its own luxury embossed slipcase. The portfolio is accompanied by an individually printed Certificate of Authenticity which is unique to each set. After intense fighting has left the landscape broken and scarred, troops attempt to recover an 18-pounder Gun amidst the mud of Flanders, spring 1918. 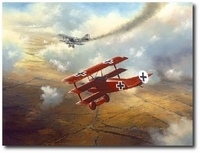 Helped by the presence of tanks, the British army has advanced into what was previously No Man's Land, while overhead Sopwith Camels patrol the newly-won territory. 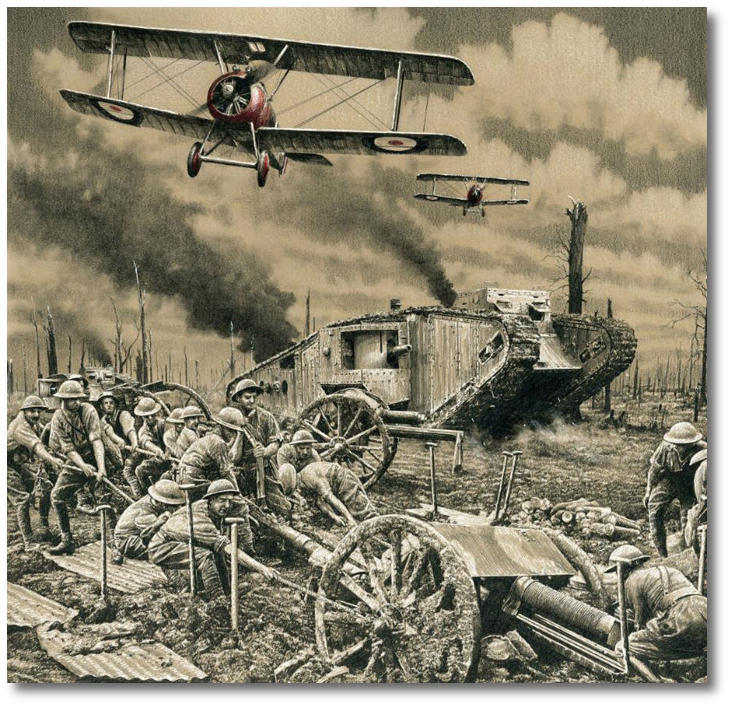 Following the highly successful release THE FRONT, acclaimed artist Richard Taylor has created another powerful pencil drawing as the second in the series. 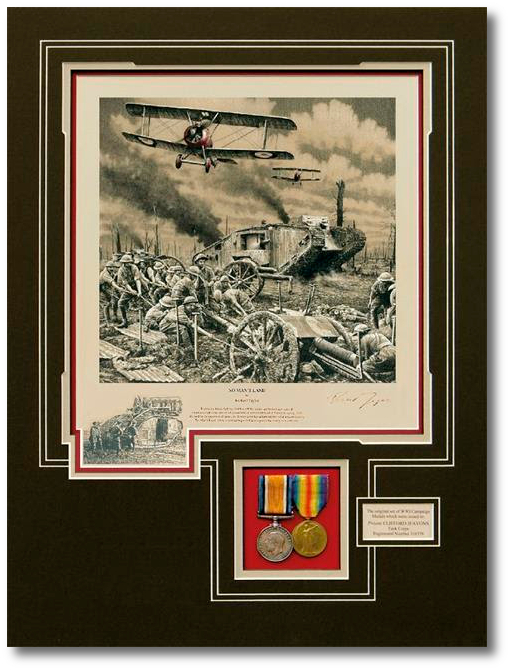 With an unsurpassed eye for detail his poignant image pays tribute to the Allied Tank crews who fought in the muddy chaos of the Western Front during WWI. In memory of all those who fought with the Tank and Armored Vehicle Corps during The Great War, each copy of No Man�s Land is conservation matted to include a pair of ORIGINAL Campaign Medals which were actually issued to a member of the BRITISH TANK CORPS during WWI. 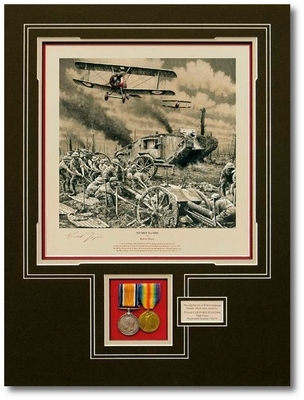 Sourced and collected over a number of years, each medal has the recipient's Service, Rank, Name and Number impressed on them.